Burundi enjoyed almost a decade of peace between 2005 and 2015. This small, land-locked nation in central Africa had endured a brutal civil war, which lasted from 1993-2005 and killed over 300,000 people and Burundians were ready for peace, economic development, and forward progress. 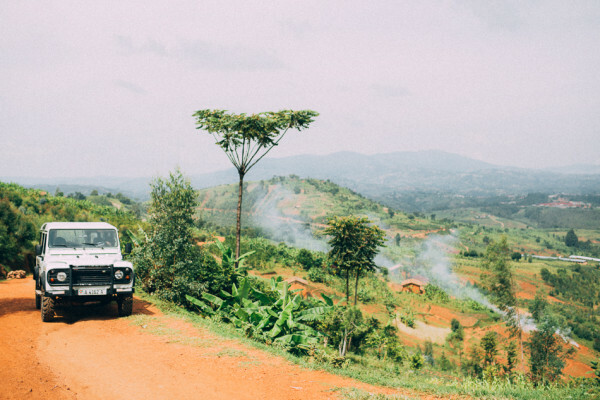 In the middle of that calm decade, Ben and Kristy Carlson moved from South Africa to Burundi and opened The Long Miles Coffee washing station. Fifty-five percent of Burundians earn their living from growing, harvesting, preparing, and exporting Arabica coffee beans. Coffee totals 80% of the countrya��s export income. Raw beans make up the majority of these exports, with little of it actually processed or roasted inside Burundi. This export of a�?green coffeea�� limits the economic benefits for Burundi and has many farmers dreaming of doing more than just growing and harvesting. They would like to process and roast coffee themselves. They would like to maybe even sip a cup of steaming coffee someday. This green coffee shipping is primarily due to a lack of specialist knowledge, experience, and equipment. Everything from the altitude at which coffee is grown to the temperature at which beans are stored matters for achieving top quality taste and so far, Burundians simply dona��t have access to these vital tools. The Carlsons recognized this challenge and brought with them to Burundi a vision for helping coffee farmers earn fair wages and grow in the specialist knowledge that would enable Burundians to take more ownership in and financial security from their coffee farms. Burundi is covered in green, lush, rolling hills, or collines. Each colline hosts 60-140 farms, a patchwork quilt of banana, cassava, and coffee plants. In these collines, the Carlsons established the Long Miles Coffee Project, built the washing station, developed relationships with farmers, shippers, and buyers, and in their first season they sold all their coffee before it even hit the drying tables. That year, they were able to pay farmers months before any other washing station in the area and they became an established part of the coffee community. The Carlsons call Burundian coffee the a�?Cinderella of the coffee world: hidden, misused, misunderstood, and neglected.a�? They describe the rich flavor like this, a�?On the nose and on the tongue, the coffee blushes bright with notes of raspberry accented with citrus. Its well-balanced velvety body carries hints of herb and chocolate straight through to its distinctive, lingering floral finish.a�? Part of the Long Miles Coffee Project work also involves documenting the lives and stories of farmers. While Ben works with the beans, farmers, roasters, and buyers, Kristy photographs and listens and gathers up the stories of widows farming coffee to feed six children, or elderly men who earn $169 a year from their trees. Together, they then design and implement community development projects that can improve the quality of life for these farmers throughout the year. Coffee, photography, and life moved with as much regularity and progress as is possible in a developing-world country. Until May, 2015, when, in the middle of the harvest season, President Nkurunziza declared his intention to run for a third term. A coup attempt followed. The coup failed but violence erupted and expatriates started fleeing the country, a decade of peace shattered in a few days. The Carlsons waited as long as they could. The neighborhood below theirs, Nyakabiga, became, and remains, a hot spot for violence. Gunfire became the backdrop to daily life as they ran errands and brought their kids to school, until the schools closed. Then neighborhoods were barricaded, people werena��t able to venture out, getting supplies and food became dangerous. Roadblocks sprung up. The airport shut down. Those who could afford it chartered their own planes and over 100,000 Burundians fled by bus, car, and foot to neighboring countries, carrying what they could on their backs. Ben and Kristy had to make painful decisions about what to pack and what to leave behind, just in case they decided to join the exiting flood, which they continued to resist. 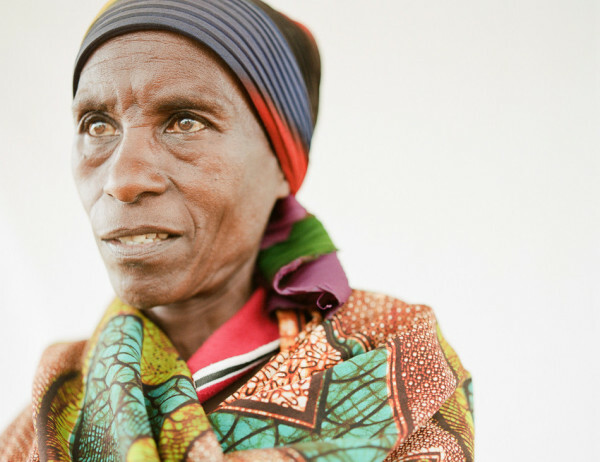 Their family had fought through long, hard years to call Burundi home. a�?The places and experiences that stretch you, those are the ones that are special,a�? Kristy says. a�?We clung to Burundi because leaving felt impossible. Coffee harvest was in full swing and the thought of leaving our team to save our own skin felt like a betrayal.a�? Finally life became untenable. Kristy was pregnant with their third child, the loud music she blasted no longer drowned out the gunfire, school was no longer an option, and the risk of a stray bullet entering their home became too real. a�?We made it to one final birthday party on our way out of the country,a�? Kristy says. a�?We arrived with our packed bags in the car. It was surreal, but so nice to behave like everything was a�?normala�� for a few hours in the midst of our exit.a�? Each family member packed one bag, the kids took some Legos and special books. Everything else, including the dog, was left behind. Kristy decided to leave most of her new baby clothes folded and in the cupboard, a sign of the hope she was clinging to that they would be back, home, soon. They drove across the border and made their way to South Africa where they are now attempting to establish a sense of normalcy, even while they are already planning to return to Burundi. In fact, Ben has returned several times already, to oversee the coffee work and to let the farmers know that they have not been abandoned. There is peace in the collines where the Long Miles Coffee washing station is located but violence could still spread. And exporting coffee has become even more difficult, putting the farmersa�� precarious livelihoods at even greater risk. The unrest, roadblocks, burning tires, and uncertainty are impeding what was already a complex process of exporting coffee. In September, Long Miles Coffee participated in a planned Cup of Excellence competition and placed third and eighth. In the middle of upheaval and uncertainty, the farmers and the Carlsons maintain their sense of pride in their product and their commitment to quality coffee and dignified partnerships. The Carlsons are planning to return as a whole family to Burundi, to replant their feet into the soil and life alongside coffee farmers. But the future is unclear. a�?There are a lot of pieces to pick up for Burundi to return to where it was heading,a�? Kristy says. a�?More likely than not, a new version of Burundi will emerge as a�?normala�� and stick with us for a while. Hopefully, that new version still allows for movements toward peace, justice, and the end of poverty.a�? Which is why we believe in the spirit of adventure. And sometimes the journey of discovery can become the adventure itself. We only need minds open to possibility and a willingness to go wherever life is calling. No matter what road we are on, our roots are always the same. This is what it takes to get coffee from east African farmers to cafes and to establish fair wages and dignified work environments, a sense of adventure and a willingness to embrace the journey. Rachel Pieh Jones, a contributing editor for EthnoTraveler, lives and writes in Djibouti City. Her writing has appeared in the New York Times, Brain Child, Running Times, the Big Roundtable, the Huffington Post, and Christianity Today. 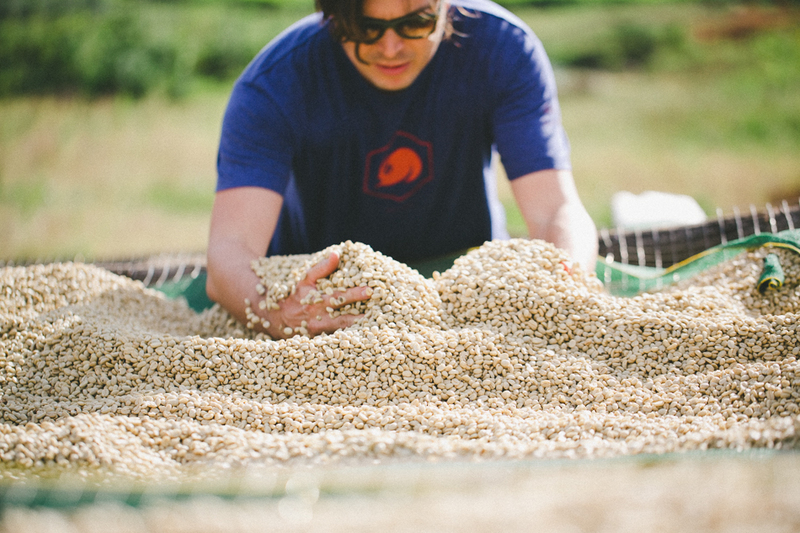 Read more about the Long Miles Coffee Project and see Kristya��s stunning photography here.